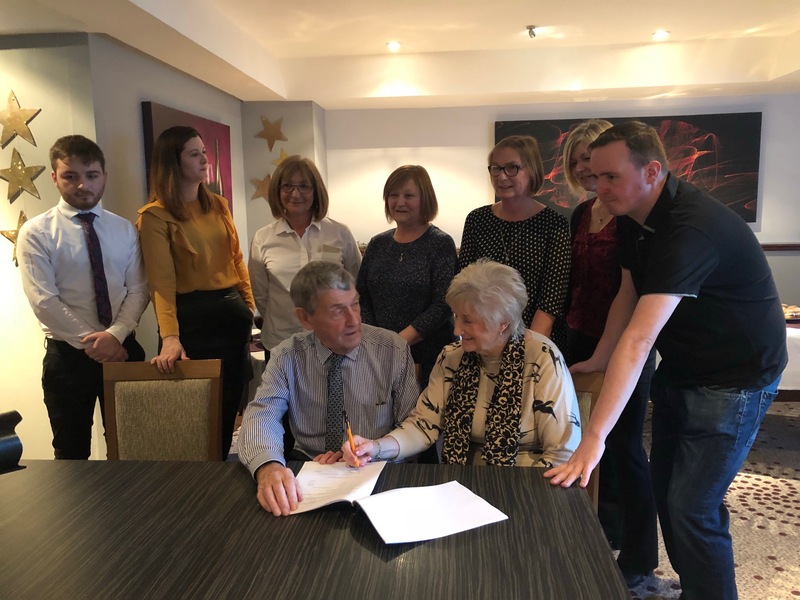 Employee ownership specialists, Ownership Associates, are delighted to announce that The Priory Hotel, a focal point of the Highland town of Beauly, is now owned by its employees. The founder of the Priory Hotel, Stuart Hutton, contacted OAUK’s Carole Leslie when he began to think about his succession plans. He had converted a former co-op building to a 13 bedroom hotel in 1972. 46 years later the hotel has 38 bedrooms and Stuart was looking ahead to retirement and reducing his involvement with the business. He knew what he didn’t want to do. He recognised that the success of the hotel was largely down to the loyalty of the company’s employees throughout the years. He wanted to find a succession option that would protect their jobs, and make sure that the hotel continued to delight customers and play a major role in the community. Had he sold to a hotel chain, it is almost certain that different processes and procedures would have been imposed. By selling to the employees, the legacy of the hotel is protected and the management team and staff can continue to deliver the excellent service the hotel is renowned for. The Priory implemented an Employee Ownership Trust (EOT) to hold the shares on behalf of the employees. The EOT was introduced in 2014 as a tax effective means for business owners to pass control of the company to their employees. The team did consider a share scheme, but felt it was fairer that everyone had the same stake in the business. The Hutton family have retained a shareholding in the business to demonstrate their continuing commitment to the company. Stuart’s son Kenneth will become Managing Director, and four of the hotel’s management team have been appointed to the Board of Directors. The Priory Hotel is the sixth company this year that Ownership Associates has supported in transition to an employee ownership model. Employee-owned businesses consistently outperform other businesses by delivering higher levels of profitability and improved business resilience. Productivity increases are brought about by higher levels of engagement and enhanced employee wellbeing.